Our Seattle residential locksmith services are available 7 days a week. We know that the security and safety of your home is of the utmost importance, so we guarantee our devotion to just that by providing you with a comprehensive warranty and a written statement to give you the peace of mind you deserve. All our home rekey and lock repair services in Seattle are always done by a licensed, highly qualified technician that is local and professional. We offer the lowest prices and fastest response times, so we can get to your home within 20 minutes or less. This is one of our most requested Seattle residential locksmith services. Residential locks rekeying is pretty popular for many reasons. The primary reason though is safety. Sometimes when keys get lost, it’s much better to have a lock rekey than to just have new keys produced. You never know what could’ve happened with your lost keys. If it somehow gets in the hands of the wrong person, then you know what could happen. So sometimes, it’s best to just have a complete lock rekey in Seattle, to be on the safe side. Aside from safety purposes, there’s also the issue of having old residential locks which desperately needs a rekey or lock repair in Seattle. This usually happens if you just moved to a home that you bought from someone. You would want to change the locks for sure. Don’t hesitate on giving us a call. Our Seattle residential locksmith services are very quick to respond to residential locks rekey and repair requests. If it’s your first time using Sevan Locks & Doors services check out our online specials. Also one of our ‘best sellers’ so to speak. House lock repair in Seattle is an in demand service here at Sevan Locks & Doors. Daily, we send out tens of people to attend to our customers who have this particular request. Getting a house lock repair in Seattle can be expensive if you don’t know where to reach out to. Luckily for you, you’re already here on our website, so you’re guaranteed to only get the best prices! If you need a house lock repair, don’t hesitate to call our Seattle residential locksmith services. We have over a decade’s worth of experience in handling this issue, so you can be assured that we can fix your house lock as fast and as efficient as possible. We understand how important deadbolts are for your home security. And for various households, there are different brands of deadbolt which makes it tricky for other Seattle residential locksmith service providers to help you out — but not Sevan. We are proud to say that our residential locks rekey staff in Seattle are more than capable of rekeying over hundreds of brands of deadbolts. You can be assured that you won’t get mixed signals from us because when we go to your house and tell you that we can fix it, we truly can. Our service is fast and efficient, so once we get to your home, we won’t leave until we got the job done. If this is the kind of service you’re looking for, then please give us a call! Here’s another one of our basic Seattle residential locksmith service that gets hundreds of inquiries per week. A door knob rekey won’t cost you much, so you shouldn’t really stress over it. Give us a call and we’ll fix your problem in less than an hour. We can rekey your home door knob in Seattle regardless of brand. 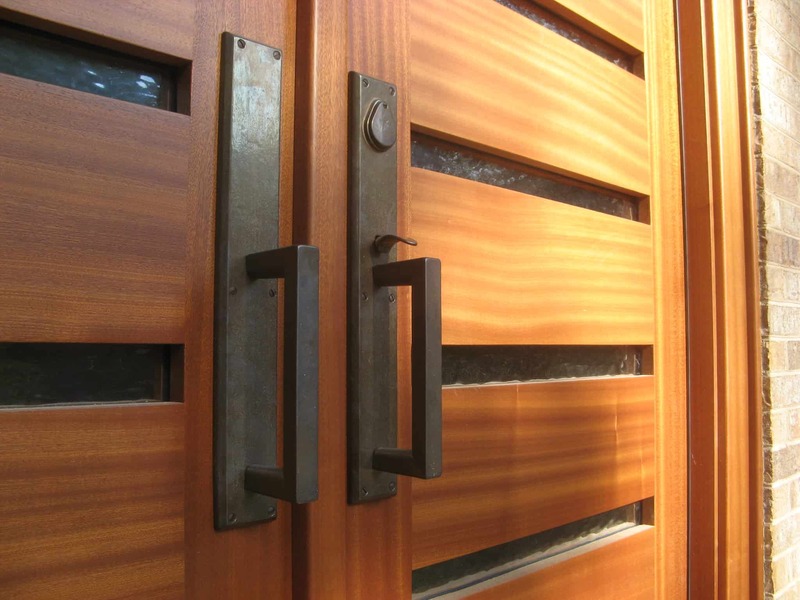 Even door knobs that we’re intricately made can be handled by our highly qualified staff. So if you ever got rejected by a Seattle residential locksmith service provider before because of your door knob’s brand, let us know and we promise you that your problem will be solved! We want you to feel absolutely safe and secure in your new home, so we won’t waste any time in making sure that your needs are taken care of. If you want guaranteed security for your mailbox, then we can create mailbox keys and security measures for you. Whether you just need a new key, or a new lock for your mailbox, we can get it done for you. From duplicating your mailbox keys to producing new ones, Sevan Locks & Doors puts a premium on this Seattle residential locksmith service because we understand how important mail is to the lives of the American people. Your information and billing statements must be protected at all times. So we won’t waste time in making sure that you have the necessary security in place for your mailbox. Please Don’t Wait, Call Now! For any and all lock and garage door problems, give us a call today. We at Sevan look forward to helping you quickly resolve your issues through courteous and knowledgeable service using high-quality, durable products. Why? Because your security, convenience and satisfaction are our highest priority.